Rick Kranitz will continue molding top young pitchers in the National League East in 2019 — only this time he’ll be stationed 800 miles southwest at SunTrust Park. The veteran pitching coach is joining the Atlanta Braves coaching staff, inheriting one of the sport’s preeminent stockpiles of young arms. 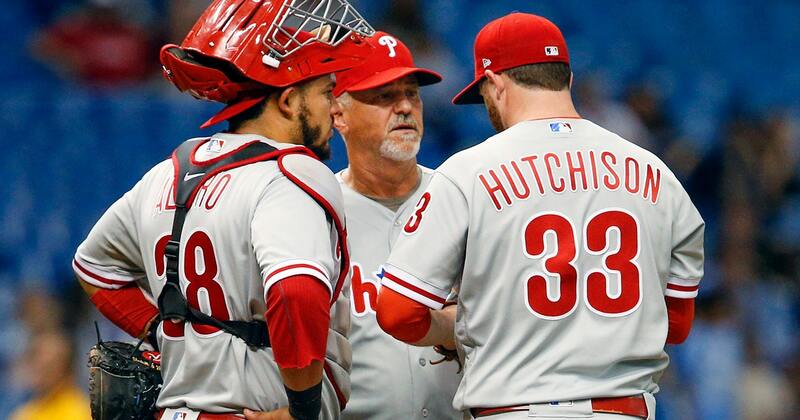 The 60-year-old Kranitz, who previously served as the pitching coach for the Marlins (2005-06), Orioles (2008-10), Brewers (2011-15) and, most recently, the Phillies, did not return to Philadelphia after helping develop a 26-and-under foundation that includes Aaron Nola, Nick Pivetta, Vince Velasquez and Zach Eflin. Kranitz is replacing Chuck Hernandez on Atlanta’s coaching staff. Though he was not a leading candidate entering the search, Kranitz impressed the Braves’ front office executives and coaches during multiple interviews over the past month. The interdivisional move means Kranitz will be entrusted with developing current roster standouts like All-Star Mike Foltynewicz, Kevin Gausman and Sean Newcomb as well as future waves of prospects headlined by Mike Soroka, Touki Toussaint, Kyle Wright, Bryse Wilson, Luiz Gohara and others in Atlanta’s farm system. While the Braves could add pitching given their offseason resources, both in terms of prospects and available money, the franchise already boasted a productive rotation — ranking top-five in adjusted ERA — and a middle-of-the-pack relief corps with a generous amount of available in-house options. “We had a good year on the mound so I don’t want to take anything away from that, but we did want to open it up a little bit, maybe directionally change some things,” Anthopoulos said in October after announcing the decision on Hernandez. The Phillies rotation finished the 2018 campaign ranked seventh in FanGraphs’ wins above replacement with the sixth-best adjusted fielding-independent pitching. Kranitz will be tasked with addressing Atlanta’s pitching Achilles heel in 2018 after finishing tied for last place in walk rate, handing out free passes 10.3 percent of plate appearances. Available personnel will dictate how tall of a task that truly is but, as a reference point, Philadelphia walked 8.1 percent of batters during Kranitz’s tenure, a top-10 mark in the majors. Kranitz, a former Brewers fourth-round pick, rose through the coaching ranks in the Chicago Cubs farm system before landing the Marlins pitching coach position in 2006, promptly winning Baseball America’s Major-League Coach of the Year. Kranitz’s time in Miami and Baltimore was marked by poor performance overall but also a lack of abundant top-end talent, particularly with the Orioles. His time in Milwaukee and Philadelphia yielded far better results, though he’s never stepped into a situation with this much immediate young pitching promise. Kranitz also served as Houston’s minor-league pitching coordinator in 2010.